The legendary Buddy Guy is back on top this week with his Blues Music Award-nominated album Living Proof, followed by Eden Brent, James Cotton, Dave Specter, and Robin Rogers. Note to self: pick up a copy of the Dave Specter album. I've seen it on the charts for a bit and haven't grabbed a copy. The two big entries to me this week are albums that actually hit stores on Tuesday: Gregg Allman's Low Country Blues and Damon Fowler's Devil Got His Way. I got an advance of Damon's CD and my review will be up this week if things go according to plan. I'll give you a bit of a teaser here and tell you I like it very much. We'll look at it in greater detail soon. I haven't heard a note from the Allman disc although you can stream tracks from it at various locations around the web. Allman teamed with T Bone Burnett for the album that features 11 covers and three originals. 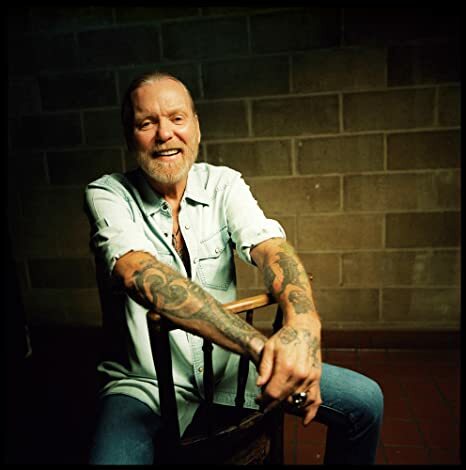 Allman has always been one of the more convincing blues vocalists in the rock and roll camp and Burnett has done some fantastic retro recordings of late. I can't wait to immerse myself in this album when it arrives next week.